Ditch the quinoa and get to know farro. It’s an ancient grain with a delicious nutty flavor. 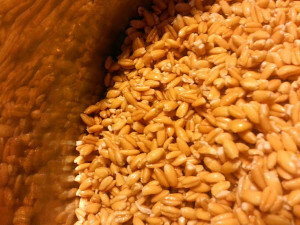 Here’s my post for NPR’s Kitchen Window on how to shop for and cook farro. Plus, some fabulous recipes. This entry was posted in Cookbooks, Grains, Recipes and tagged Cookbooks, cooking, farro, food, grains, Kitchen Window, NPR, Recipes on October 16, 2013 by Laura Weiss.